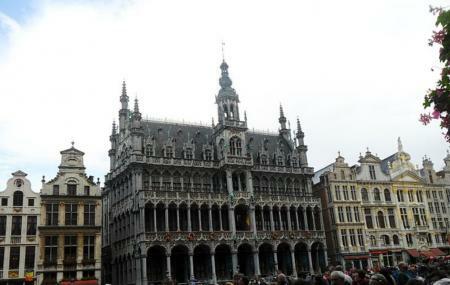 The museum is dedicated to the history, culture and folklore of the city of Brussels. It’s housed inside the stylish neo-Gothic building, constructed by the Duke of Brabant in the 16th century as a symbol of ducal power. The museum itself was established in 1860. The ground floor focuses on the Brussel’s artistic heritage - flags, banisters, altarpieces, sculptures, paintings, tapestries, porcelain, archaeological artefacts. A particularly popular room the with hundreds of costumes for the Manneken-Pis statue. Check out the 17th century painting of the Grand Place in flames, bombed by Louis XIV, King of France, from 13 to 15 August 1695. Admire the early 16th century Saluces altarpiece. See one of the best copied of Pieter Bruegel the Elder’s lost Wedding Cortège painting by Jan Breughel the Elder. Guided tours are for 25 people max. Admission to this museum also includes admission to Costume and Lace Museum and Museum of the Sewers. How popular is Museum Of The City Of Brussels? People normally club together Belgian Comic Strip Center and Sint-katelijneplein while planning their visit to Museum Of The City Of Brussels.